Screw filter is mainly used n wastewater treatment industries, such as:municipal wastewater, waste water from food, beverage, chemical, leather industries, etc. especially for the sludge contains oil. Because of screw squeezing technology, the power consumption is very low, so that save running cost. Its difficult to be blocked, so the quantity of washing water will be greatly decreased. It can running continuously for 24 hours, so it has feature of lowest labour cost. Under the same situation, the waste consumption is only 1/80 of the blt filter press and the power consumption is only 1/12 of the centrifuge machine. Fully automatic running. From feeding, adding chemicals to cake discharging, all steps can be controlled automatically and can contentiously run for 24 hours. The screw body is consist of fixed rings, movable rings, screw bars, gasket and the main screw. 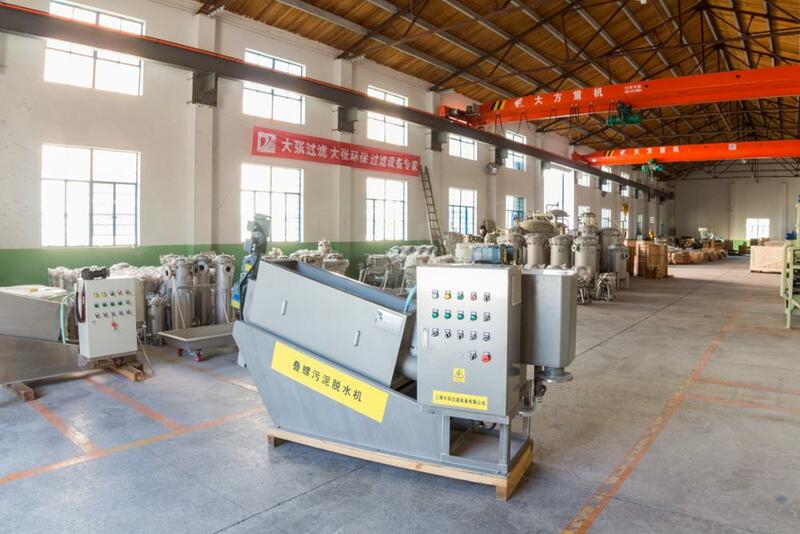 While working, the movable rings will move as a cycle around the main screw, however, the gasket ensures there have some gap between the fixed ring with the movable ring, so that avoid block to realize self-washing function, and thus greatly decrease the consumption of washing water. 1. The screw distance is decreasing from inlet(bottom side) to outlet(top side). At the same time, the diameter of the screw is becoming bigger from inlet to outlet. 2. On the main shaft, in the cake discharging tank, there is a baffle and there is a gap between the baffle with the dewatering roller, so that ensure there will have some pressure to the sludge. Thus it can perfectly squeeze out the water and realize best filtering performance. 3. 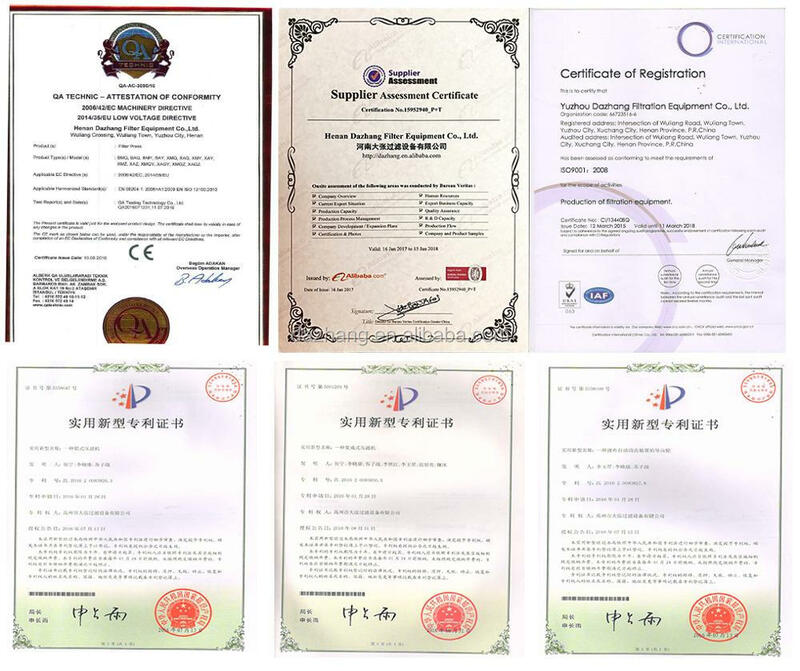 Screw Induration Technology: On the surface of the screw leaf, it is processed by the induration materials, and this ensures the hardness can be 1000 HV and the adhesive force is bigger than 70 MPa, so its difficult to cause deformation, and can have long life-span. Four fiter, the normal parts are cut by cutting machine or water cutting machine, and the key parts are cut by laser to make sure the precision. Q: Are you manufacturer of screw filter? 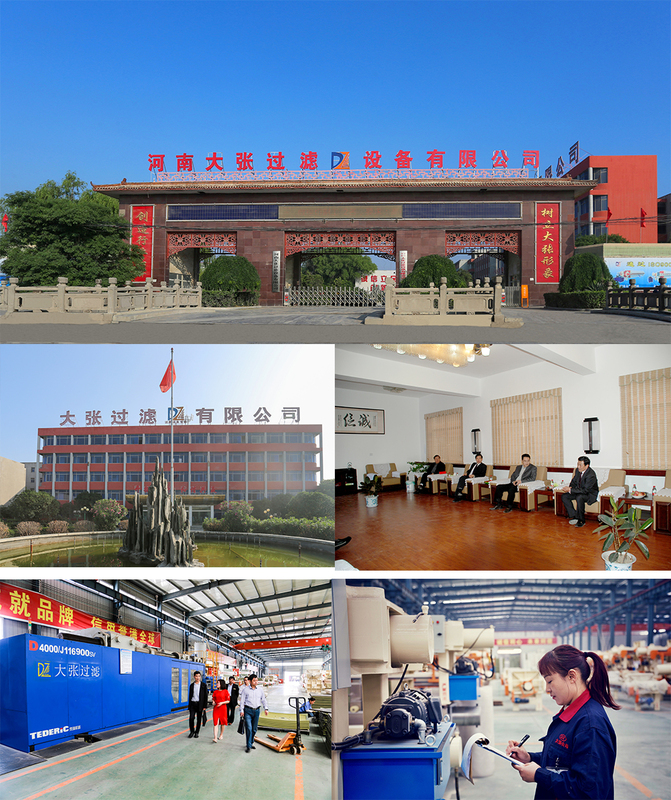 A: Yes, we are the company which is the joint of trade and industry, and we cal provide sample test, equipment manufacture, after-sale service, etc. Q: Which country have your products been exported? A: Many countries around the world, such as Australia, EU, America and so on. 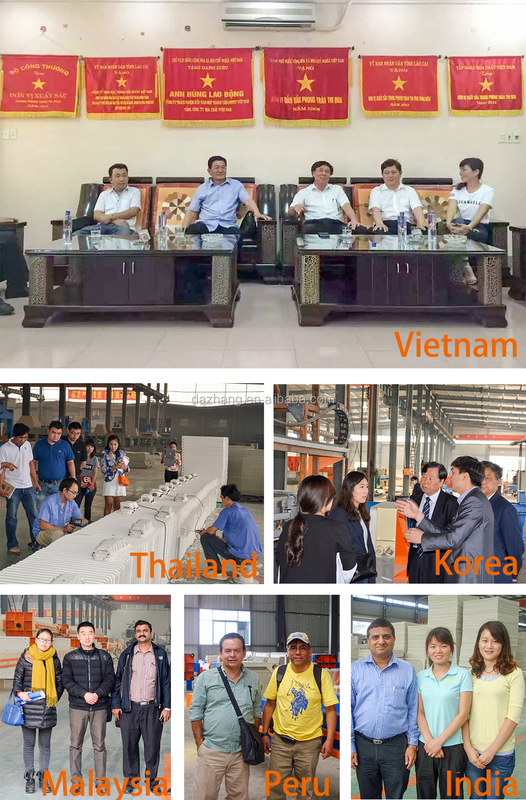 And our company has agencies in Vietnam. 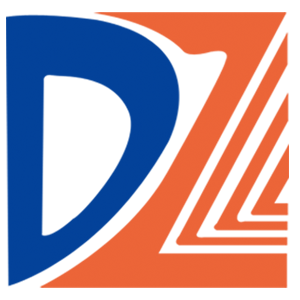 A: Yes, our professional team can design perfect projects for our customers. Q: What kind of filter press can you produce? 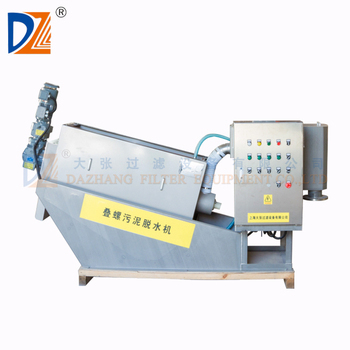 A: Chamber filter press, membrane filter press, plate and frame filter press, belt filter press,vacuum belt filter, round filter press, cast iron filter press, stainless steel filter machine, filter plate and filter cloth etc. A: We will indicate the MOQ for each item in the quotation list, generally the MOQ is 1set. Q: What is the machine warranty? A: All the machines from my factory have 12 months warranty. Q: Is on site installation & commissioning available? A: Sure, of course, welcome to visit our factory at any time!